This year Facebook‘s F8 conference was entirely focused on developers. Whether you are a developer or a regular user, you will find that Facebook is slowly changing its culture and moving more towards anonymity. The keynote was lead by Mark Zuckerberg himself from beginning to end. The main idea behind the whole keynote is that now that Facebook has stabilized its platform, it is time to cater for developers and invest in tools that will help them Build, Grow and Monetize their apps. 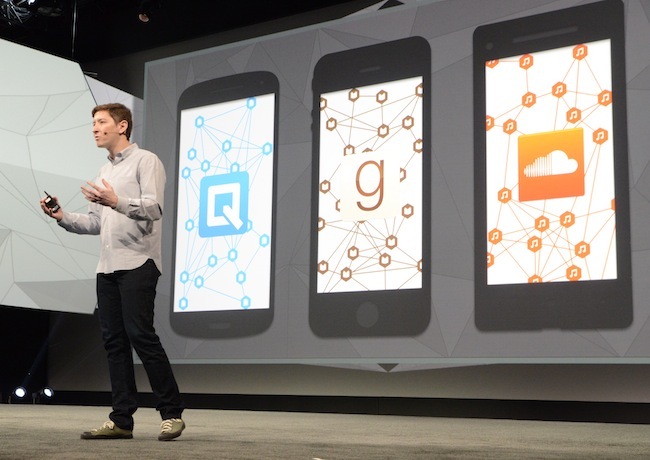 #Facebook wants to help developers build, grow and monetize their apps. The buzz was about making more with less. Let me explain. Facebook login is by far the leading sign-on module on apps. Well Facebook is fine tuning this and now when you login an app for the very first time, you will not only be able to decide if that app can post on your timeline for you, you will also be able to decide how that app will interact with your personal information.Plus, you can now login anonymously. If selected, developers will receive credits for Facebook advertising, access to the cloud-based program Parse, and free services that deliver product testing, recruiting, customer care, video conferencing, and document management. #Facebook has put together free tools and services (up to $30,000) to help developers. Like we announced a few days ago, Facebook introduced its mobile ad network called Audience Network with three formats: banner, interstitial and native. The service brings Facebook’s existing targeting and measurement features to third-party app developers. #Facebook introduced Audience Network, its own mobile ad network. Developers can now link between apps. The first sight of this was, for many of us, the way the Facebook mobile app and the Faceboo Messenger app interact, easily switching from one another with one press of a button. AppLinks allows a user togo from a link in one Facebook mobile-integrated app to another without the conduit of a mobile browser and login friction. Well now Facebook is sharing AppLinks with developers to extend even more its functions. At F8, #Facebook showed it really wants to support developers.